The author appeared on Finucane’s show on Saturday. 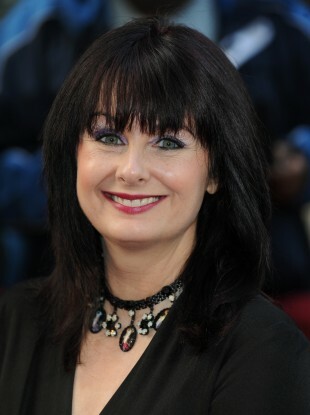 AUTHOR MARIAN KEYES has described her recent interview with Marian Finucane as “a radio interrogation” and stated that Finucane made her discuss her battle with depression. Keyes appeared on RTÉ Radio 1′s The Marian Finucane Show on Saturday morning to discuss her newly published novel The Woman Who Stole My Life. However the interview focused primarily on Keyes’ struggle with mental illness. Though the interview was very well-received, Keyes took to Twitter on Saturday night to express her dissatisfaction with the interview. In tweets that have since been deleted, she stated that she wanted to discuss “happy, hopeful stuff” and that Finucane wouldn’t allow her. She also stated that she felt “ashamed and frustrated” at seemingly being defined by “Marian’s tragic tragicness”. During the interview, Finucane repeatedly steered the interview in the direction of mental illness. Let me go back to what you were saying about feeling irresistibly suicidal. Yesterday Keyes revealed that she hadn’t slept for “43 hours” following the interview, which she likened to an “interrogation”. She also allegedly described Finucane as having “the compassion and empathy of a cardboard box” although that tweet appears to have also been deleted. However, she did favourite this tweet from a Twitter follower who stated that Marian sounded “cold and detached” in the interview. @MarianKeyes I did feel that very little compassion was conveyed in the interview and that the tone was very cold and detached. Keyes further cited conversations with Lorraine Kelly and BBC’s Woman’s Hour as examples of interview she enjoyed. Both RTÉ and Marian Finucane declined to comment on the interview. Email “Marian Keyes says Marian Finucane pushed her on mental health in interview ”. Feedback on “Marian Keyes says Marian Finucane pushed her on mental health in interview ”.